The modem is necessary if you are using a telephone line to access the Internet. It translates the language that computers talk into a language that can travel across the phone lines, and vice versa. 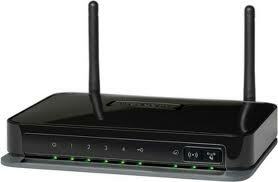 The Wireless Router: internet data comes in to the router from the phone line and is converted into radio signals. This signal is picked up by the network card in the computer and translated into internet data again. Routers Provide wireless internet to wireless-enabled devices like computers, laptops, tablets and games consoles. You will need a web browser e.g. A web browser is the software which you use to look at web pages above are some of the more popular ones used by millions every day. With a web browser you can view various websites the web browser reads codes and displays results. What is an ISP? Why do you need an ISP to connect to the Internet? An ISP is a company that provides you with your internet! Their job is to stay connected to the internet at all times. 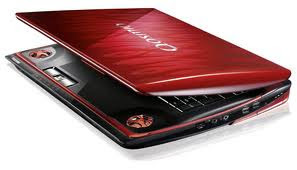 You need them because you cannot do it directly yourself you have to use someone to give you a connection, such as wireless broadband or dial up. A proxy server is a computer that works as a computer network service it allows clients to make connections to other network services but without going directly to them. It is a computer that diverts requests between a client and a server. There are quite a few uses of a proxy server, but the most common is to speed network traffic by caching pages or files that are requested often. By doing this the proxy server can deliver the request quickly, only polling the server when required. In this way, a proxy server not only speeds up network traffic, but also relieves server load. This kind of proxy server shows itself as a proxy server and makes the original IP address available and visible through the http headers. This type of proxy server also shows itself as a proxy server, but it does not make the original IP address available. It is detectable, but it still provides a certain amount of privacy for most users. This type of proxy server identifies itself as a proxy server, but makes an incorrect original IP address available through the http headers. 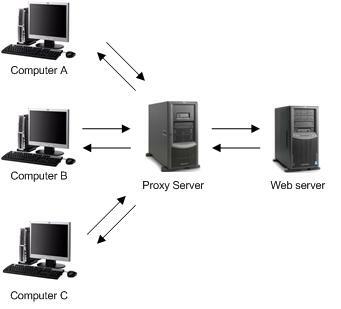 This type of proxy server does not identify itself as a proxy server at all and does not make itself available through the original IP address. Webmail is mail like a letter or a note that can be sent via the web. You can set up various web mail accounts on the internet and have your own individual accounts where you can send and receive emails. These type of email accounts are usually free and are operated from a website. You can access your emails from almost anywhere, as long as you have internet access. Usually known as internal or electronic mail, it is a computer program used to manage a user's email. This type of mail programme is software loaded on to your computer or with your office package. One of the more common stationary email programs used with windows is Microsoft Outlook, it is the email client included with the Microsoft Office suite. 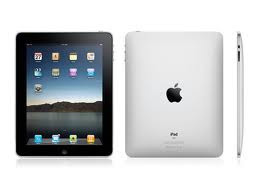 It is designed to operate as an independent personal information manager, as an Internet mail client. With this kind of email program you can only collect your mail when you are using your own pc, laptop, you cannot pick it up from any location with a username and password as you do with web mail. What is a web server for? Web servers are computers on the Internet that host websites, serving pages to viewers upon request. This service is referred to as web hosting. Every web server has a unique address so that other computers connected to the internet know where to find it on the enormous network. Explain what is meant by a domain name. A domain name is a unique address that can be used on the Internet. It’s what you see in the address bar after the “www.” in your web browser and it’s what comes after the @ sign in an email address. Domain names work by taking the domain name that you type into your browser (along with the "www" bit) or into your email program (with the "xxxx@" bit) and then go and find where that domain name resides to either serve you up a web page, or send an email to someone at that domain name. The term URL" stands for "Uniform Resource Locator". A URL is the address that connects you to any website. At the top of your browser, the program on your computer you use to get on the Internet will say the address of the site you are visiting and it may have http in front of it or www. and a bunch of other things. How is the registration of domain names controlled? The regulators of domains are like a virtual police. The coordination of domain names and IP numbers is the responsibility of the Internet Corporation for Assigned Names and Numbers or ICANN. Also Com Reg is the statutory body responsible for the regulation of the electronic communications sector (telecommunications, radio communications and broadcasting transmission). There are many laws that regulate the registration of domain names like, registering a copyrighted name or registering a domain name so that it stops someone else from using it. Domains have to be regulated because of the type of content that could be added to them and so as the names of these domains are not duplicated. For example if you buy a domain name say for instance a .com for your blog you will have to enter a contract as well as paying for it. If you do not abide by the rules of the provider of the domain they have every right to block you from using the blog as you have breached the rules. As well as the blog provider setting rules for you, they too have to abide by a set of rules and guidelines set by the regulators of domains and therefore they must ensure that the basic and main rules of owning a domain are strictly followed or they could very well face being blocked by the regulators.